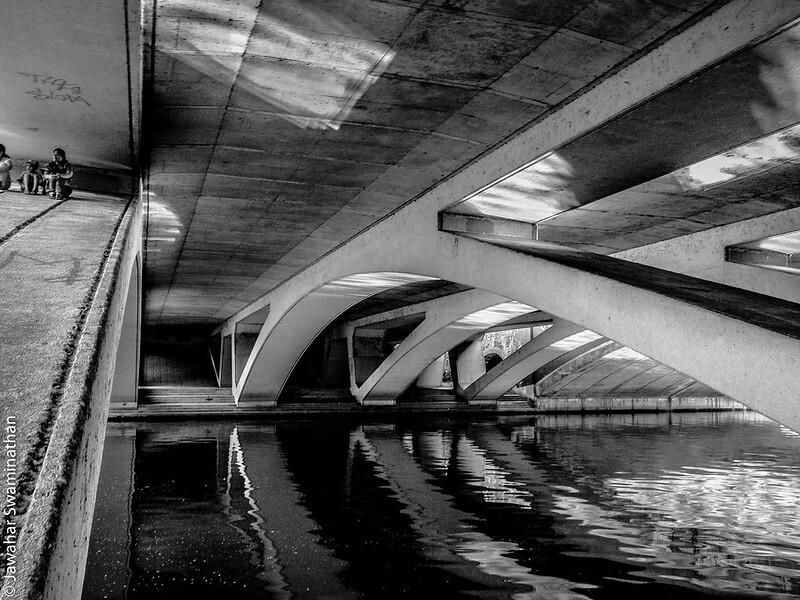 I have processed the following picture in both colour and black-and-white. 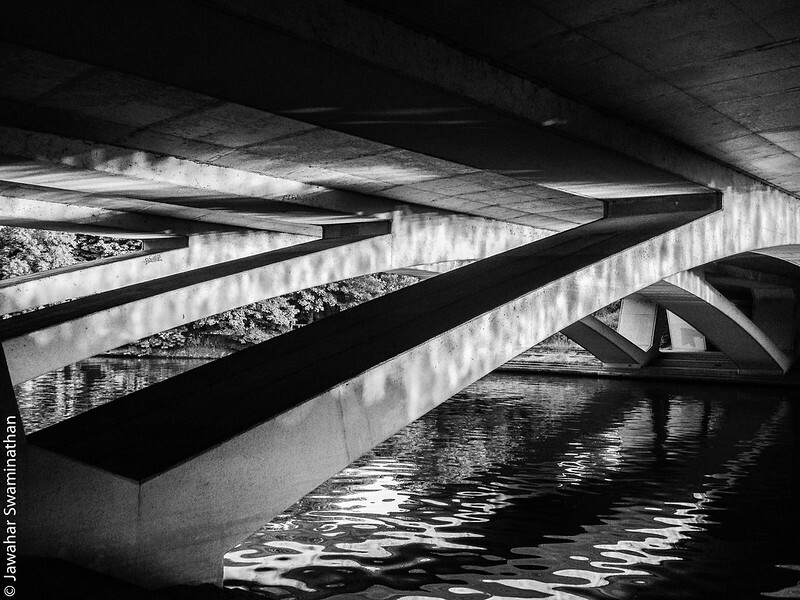 I believe both iterations of the same picture are equally good and offer a different view of the same scene. The picture is of the building that houses the remains of the Roman columns of the Temple of Augustus. The building that surrounds the columns is a regular block of flats, which in itself is very surprising! Black-and-white treatment of the picture above. Processed with Silver Efex Pro. These pictures are from my iPhone, processed in NIK Software (Color Efex Pro, and Silver Efex Pro). 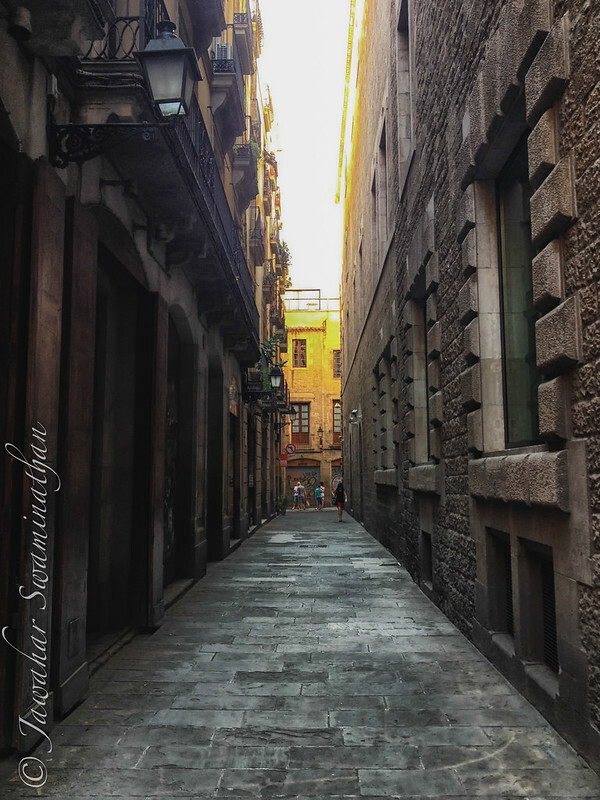 An alley near the Barcelona cathedral in the gothic quarter of the city. 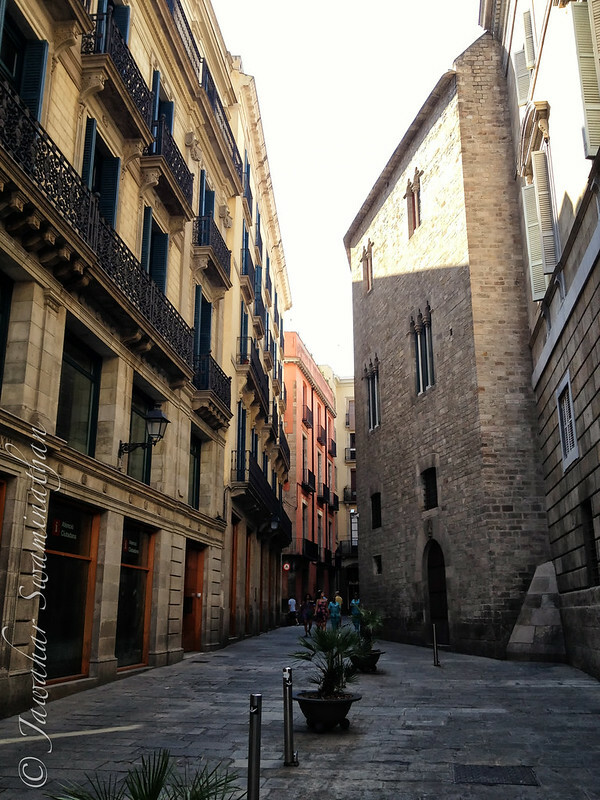 The gothic quarter of Barcelona (or Barri Gotic in Catalan) is the oldest part of Barcelona. 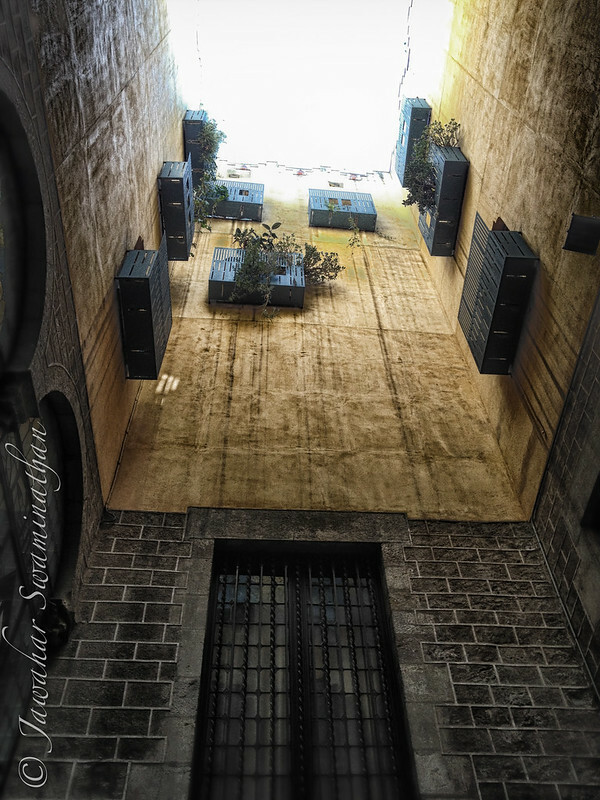 It is a labyrinth of small alleys and winding streets offering excellent opportunities for photography. 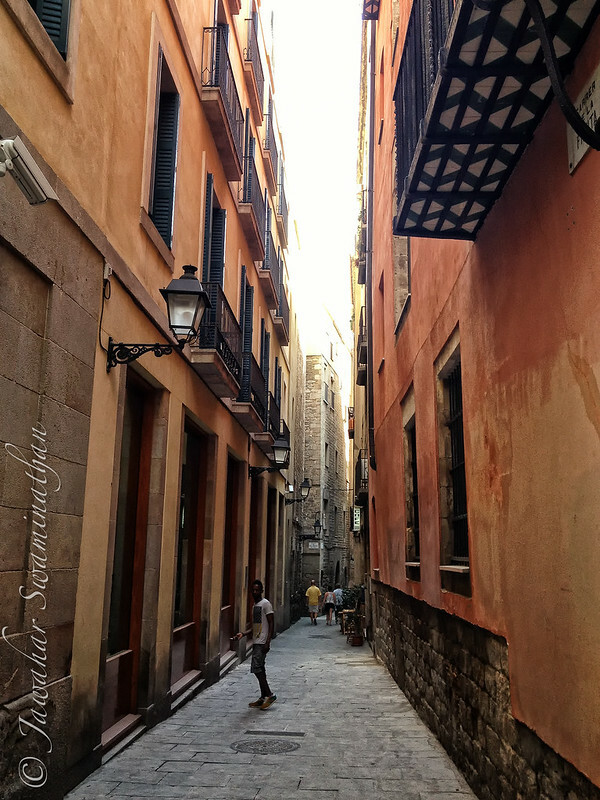 The gothic quarter dates back to the roman times and beyond and retains a charming character. I didn’t have anything else but my iPhone for this trip and these pictures are a result of post-processing in a custom workflow in NIK software. 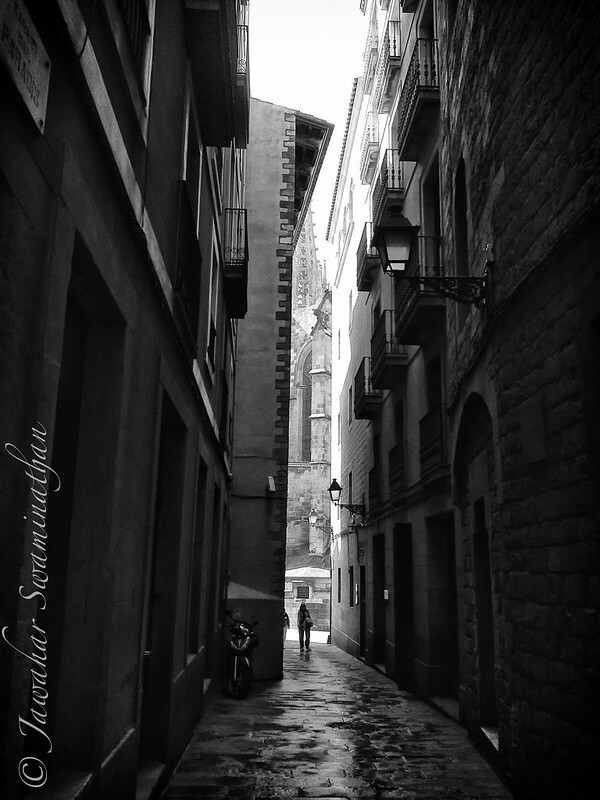 Rarity in the gothic quarter… A straight alleyway! 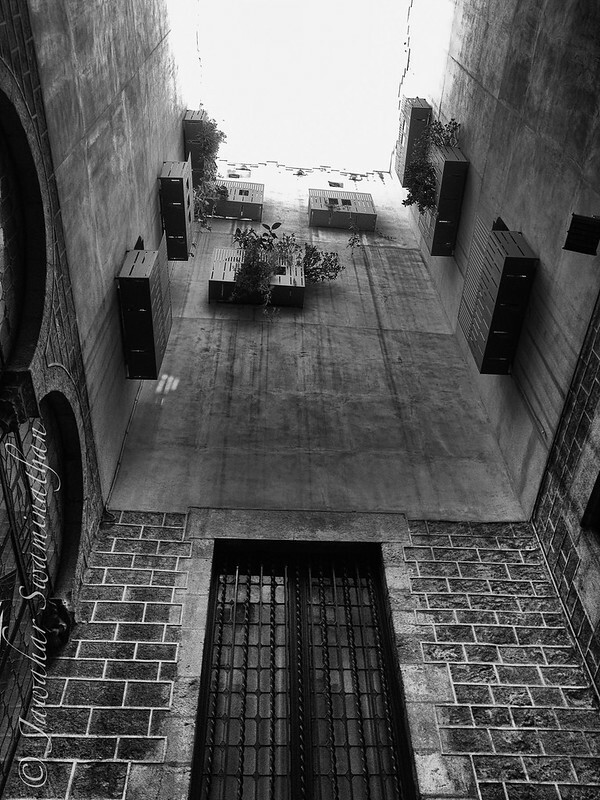 A path leading into the gothic quarter from the City Hall. Please click on any of the above pictures to see a larger version on my flickr photostream. 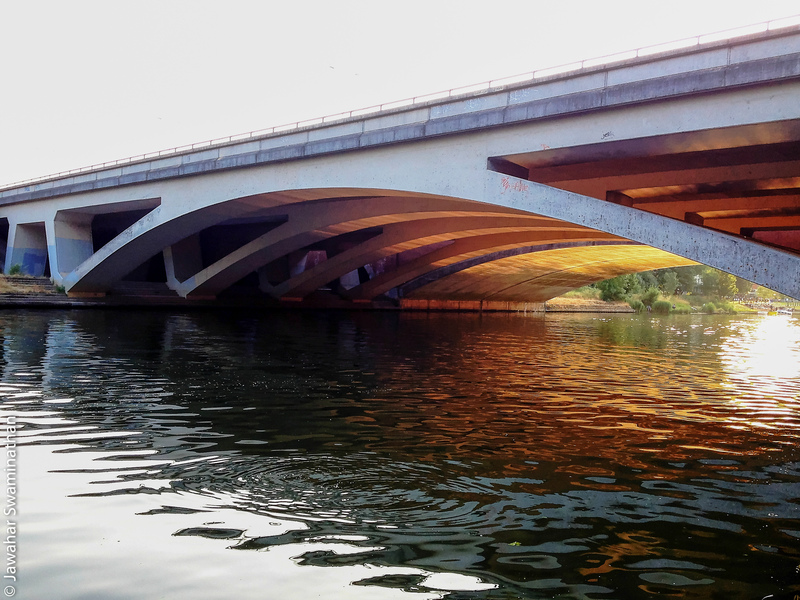 The runnymead bridge on the notorious M25 motoway in London runs over the Thames near Staines. I wonder how many of the thousands of cars, vans and trucks that use the M25 daily have drivers who are aware of the river just beneath them. 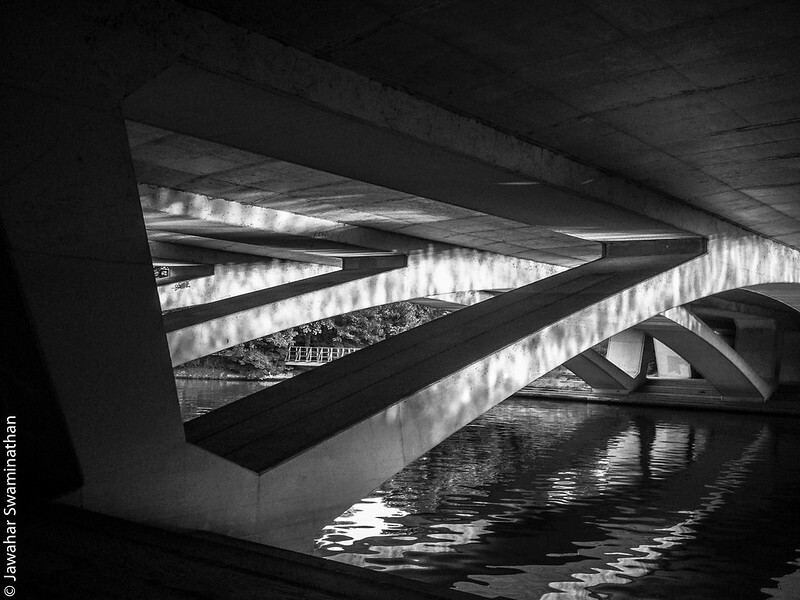 The lines on this bridge were wonder to photograph, as were the effects of light reflecting from the Thames. 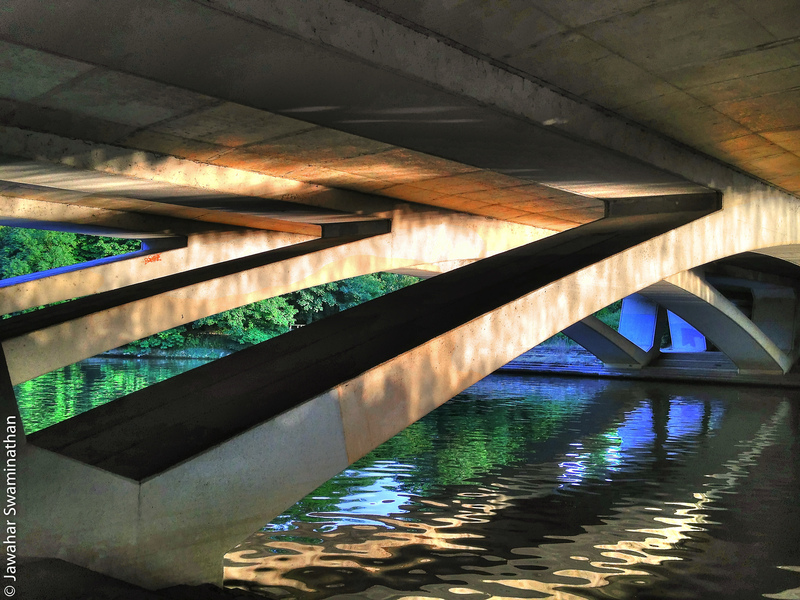 Posted on July 15, 2013 Categories HDR, Photography, TravelTags Bridge, hdr photography, High dynamic range imaging, Highways Agency, iPhone, iphoneography, London, M25 motorway, Photo, Photography, Photomatix Pro, River Thames, smartphone, staines, Structural Engineering, Thames, travel photography8 Comments on Under the highway!! 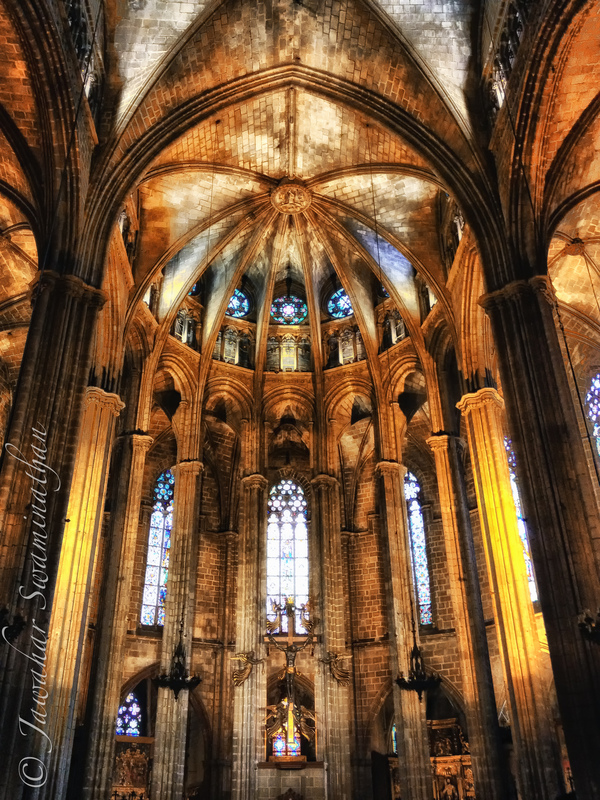 Catedral de la Santa Cruz y Santa Eulalia or the Barcelona Cathedral is the central church of Barcelona and seat of the Archbishop of Barcelona. 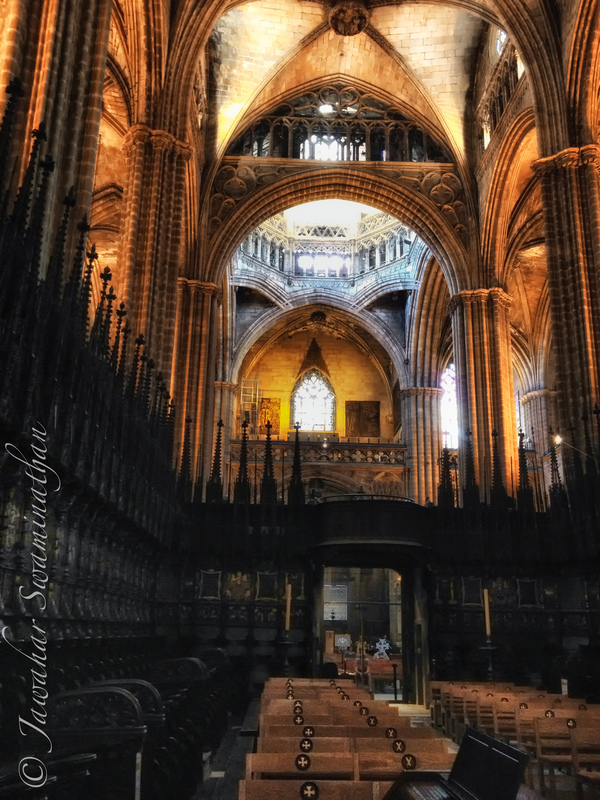 This large Gothic church dates from between the 13th to 15th Century. 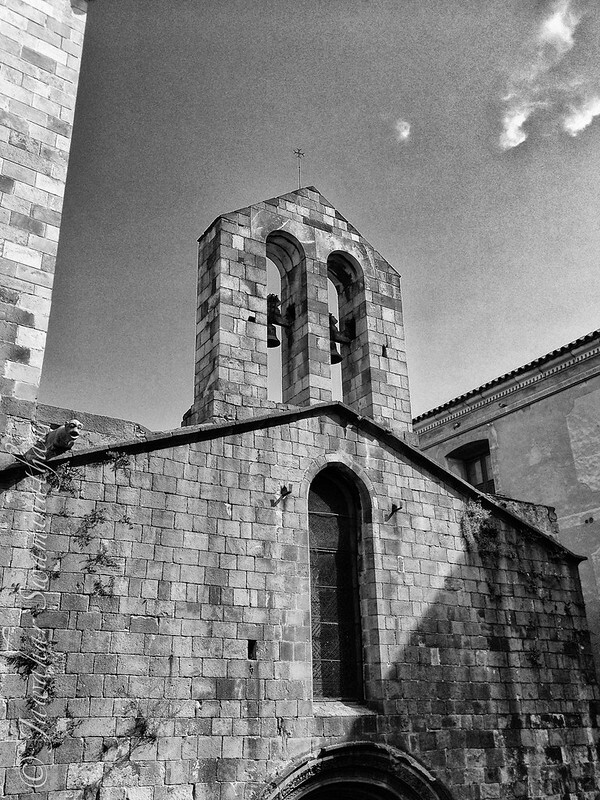 The church is dedicated to Eulalia, a patron of the city and a martyr from Roman times. These pictures are from the inside of the cathedral and taken using just an iPhone 4S and processed using NIK Software customised pipeline.